This is one of our roosters, Jack. 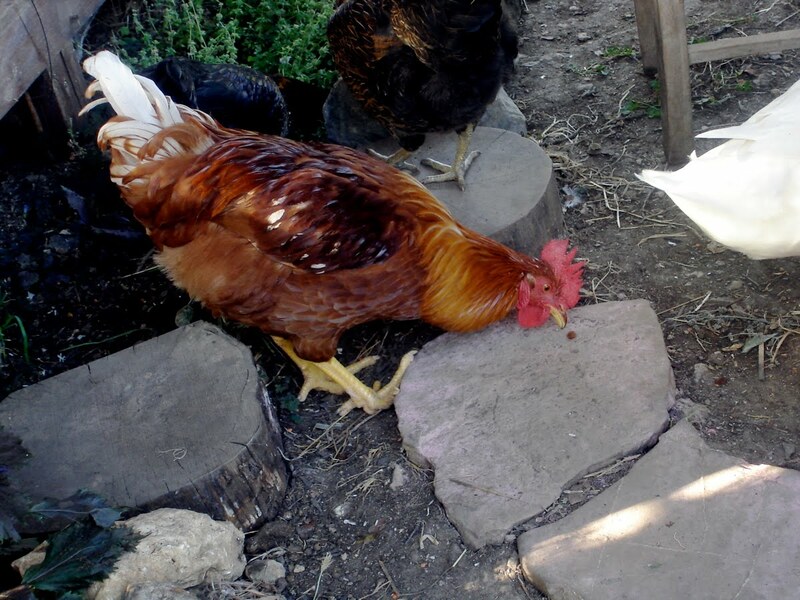 Unlike Bob, in what we call the “lower coop,” we’ve had Jack since he was a gangly chick of about two months or so. Ali went into Kumluca one day and came back with a box that cheeped and shook in the back seat. Our friends at Sundance had just built us a chicken tractor, and they were its first inhabitants. When Ginkgo was a duckling, he lived in there too, but then one of the chicks drowned in his water basin, so we moved him out. So Jack was one of four chicks that we raised in the tractor. When we started letting them out in the afternoons (we keep all of the chickens in their coops in the morning so we can collect their eggs before we turn them loose), they ran around, leaping in the air to catch flying insects. They are a little mellower now, but they still all burst out of the coop when I open it and run down the road, sometimes flying. One day, I saw a tiny little egg in the chicken tractor, like the size of a Robin’s Egg candy. When I mentioned it to Ali, he said, “Maybe the rooster laid it,” and I just shot him a dirty look, figuring that he was pulling my leg. Well, I learned from the chicken feed man that roosters actually do lay tiny eggs once a year while they are growing up. My mom cracked it (I was too creeped out to) and there was no yolk in it. Pretty weird.